What is it that you just must have when vacationing at the beach? Fresh Fish, Gulf Shrimp, or is it Oysters? I have to say, oysters surly are a popular requirement even if you are not typically a fan. Live Bait offers them several different ways. First, you have your traditional Raw Oysters. They are fresh & shucked just for you, served chilled on the half-shell. They come accompanied by saltine crackers, cocktail sauce, & lemon wedges. Some people like to add a little Tabasco into the mix. Either way, it something you may have to try to say you did, even if it isn’t your thing. Are you craving oysters that are a little less traditional, but still want to enjoy them raw? Live Bait offers Oysters Fresca which are raw, chilled, freshly shucked & topped with tequila pineapple pico de gallo adding a bit of a kick! Both raw oyster options are great, and both offer a totally different flavor from the other. I’d recommend mixing it up a bit and giving each one a whirl. Just a warning, raw oysters are known to be a natural aphrodisiac, or so they say. So, you don’t like them raw? That’s ok! Live Bait also offers them cooked and they are simply superb! 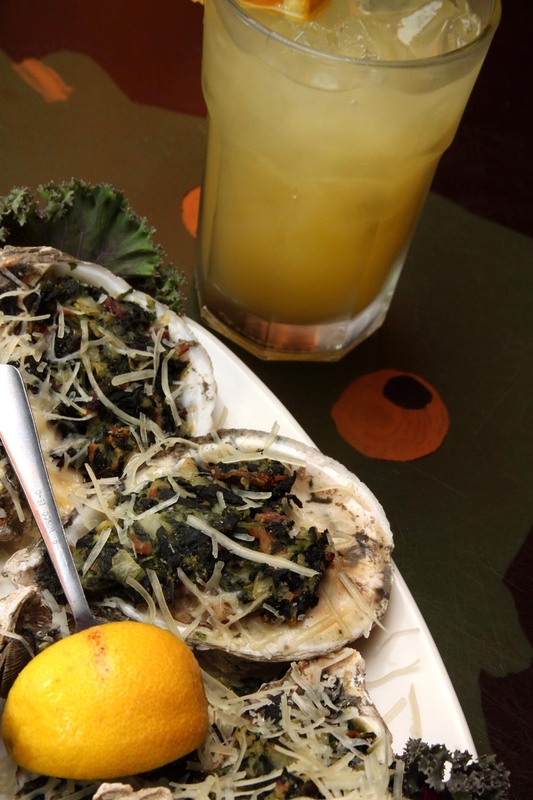 Try the Oysters Rockefeller. 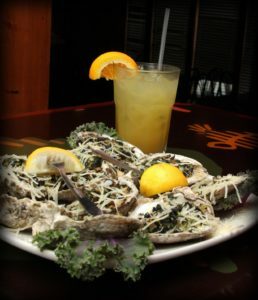 They are freshly shucked then baked with seasoned spinach & the good stuff – grated Parmesean cheese. These are a personal favorite. What’s not to love about anything topped with cheese? For something with a bit of a kick in a cooked version, you need to try the Cajun Oysters. They are referred to as the pie of the bayou, served freshly shucked, topped with Tasso ham and crawfish, perfectly spicy and super tasty! Oysters done right! A must at the beach. There are several excellent options when it comes to chowing down while visiting Orange Beach. Live Bait is the perfect place for oysters & so much more. Check back for more updates from #TheBAIT and how to make the most out of your beach vacation to the beautiful white sand beaches on the Alabama Gulf Coast.